Ken Rosenthal joins Hot Stove to discuss his 2019 Hall of Fame ballot and his reasoning for the choices. 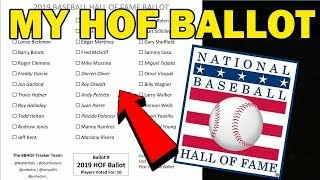 Brian Kenny and Christopher Russo discuss the 2019 Hall of Fame ballot and reveal who they would elect if they had a vote. 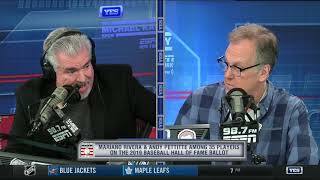 Peter Gammons joins Hot Stove to analyze his 2019 Hall of Fame ballot. MLB Now debates if PED-tainted players should be allowed in the Hall of Fame. 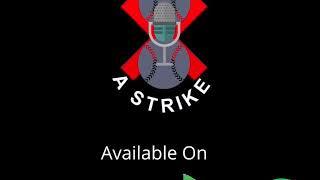 MLB Now debates who has a stronger Hall of Fame resume, Edgar Martinez or Lance Berkman. Edgar Martinez joins MLB Network to discuss his reaction to be elected to the Hall of Fame and talks with former teammate Ken Griffey Jr. The Mad Dog breaks down the Hall of Fame Class of 2019 and whether or not a bigger Hall is better for Cooperstown. 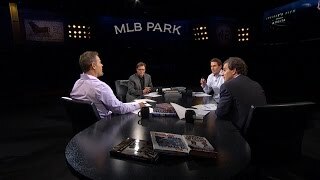 Ken Rosenthal joins Hot Stove to discuss Mariano Rivera, Roy Halladay, Mike Mussina and Edgar Martinez being elected into Hall of Fame.